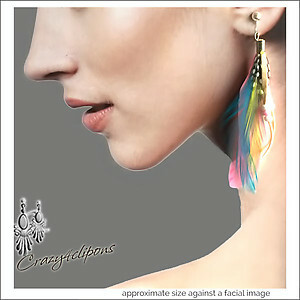 Features: Fun, fabulous and totally on-trend, the feather dangle earrings is the season's must-have accessory. 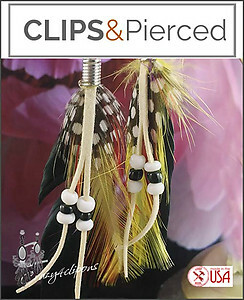 Colorful Dyed feathers with attached strings accented with complimentary beads. Fabulous to wear with your Jeans and high heels!